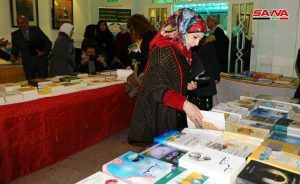 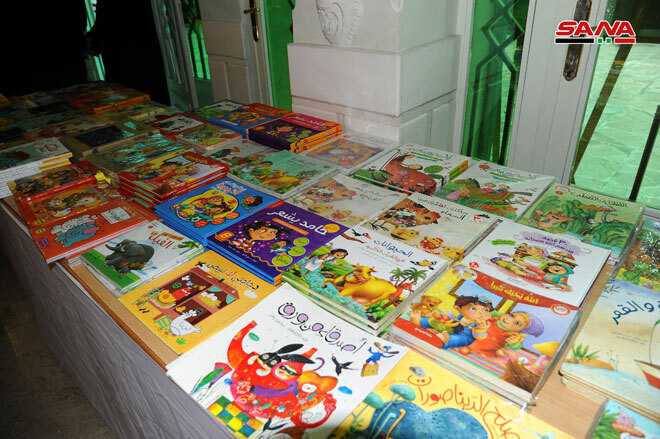 Damascus, SANA- 2500 varied titles were featured at the Annual Book Fair which kicked off Sunday at the Iranian Chancellery in Damascus marking the 40th anniversary of the victory of the Islamic revolution in Iran. 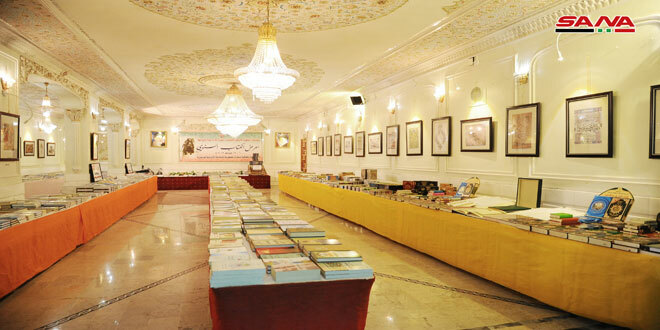 Syrian and Iranian publishing houses and institutions participated in the fair through many publications that were mostly intellectual, philosophical and religious, in addition to some historical and literary books that document important stages of the Arab and Islamic history. 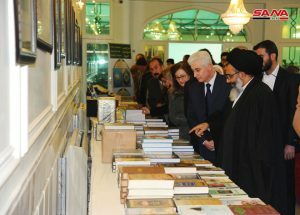 The fair also embraced paintings which documented the stages the revolution passed through and its struggle against the US imperialism and the reactionary powers and other paintings representing the Arabic calligraphy by Iranian calligraphers. 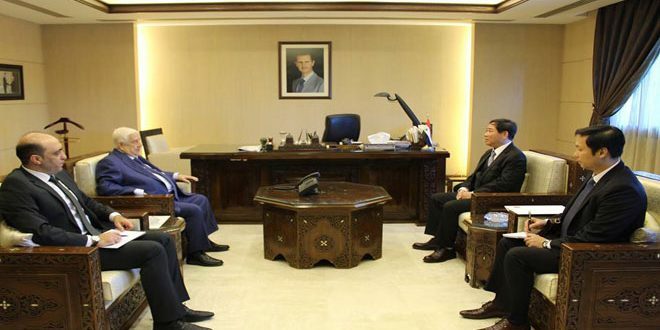 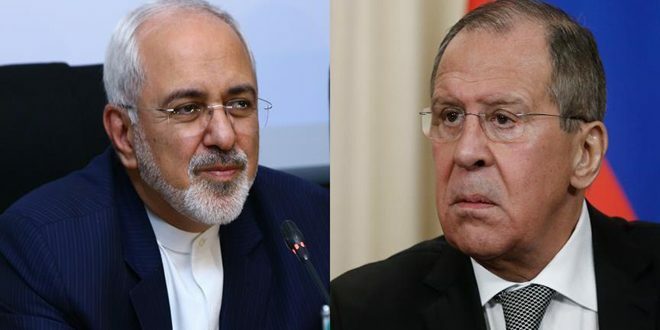 Leader of the Islamic Revolution’s special representative to Syria, Abolfazl Tabatabai told SANA that the Fair is an evidence on the mutual interest in culture in both countries. 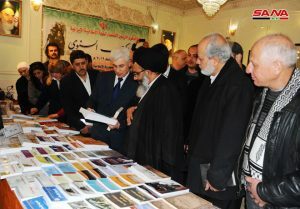 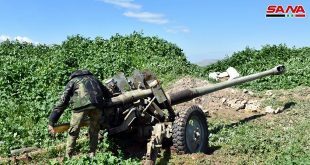 The Chancellery organized that fair after years of hiatus due to the terrorist war waged on Syria. 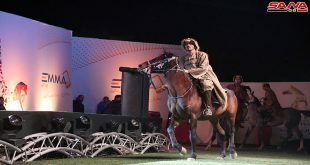 The fair is one of the cultural and intellectual activities held on occasion of the Islamic Revolution’s victory in Iran. 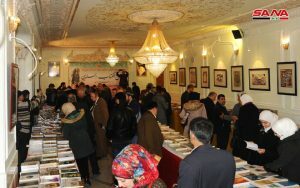 The event is held in cooperation with the Syrian General Organization of Books, Arab Writers Union and some of the Syrian publishing houses with the aim of sending a message to the whole world on that the book is one of the main means of building society and enhancing knowledge, particularly in the reconstruction stage. 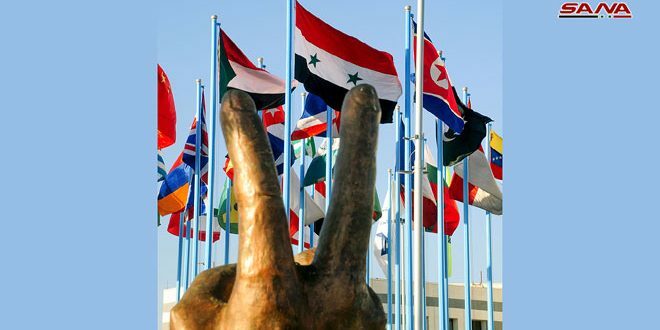 Fairs Director at the Syrian General Organization of Books Nuha Wannous said that the Organization is participating in the fair through about 150 book titles on history and the relations between the two countries. 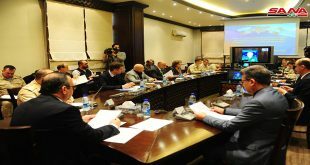 She expressed hope that the organization will resume its foreign activities which had stopped due to the terrorist war waged against Syria.